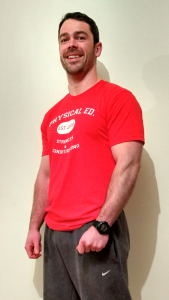 Hi there and welcome to PhysicalEd.ie. I am offering free consultations so you can be sure that I am the right person to help you achieve your goals. If you are interested in purposeful, intelligent, tried and tested, results driven training, you have come to the right place. See below for some comments from satisfied clients, leave your details to book your free consultation. Ed knows his business and has a knack for figuring out what clients need to reach the next level. I found myself making gains, at age 41, that would not have been possible without his help. Working with Ed was one of the best training experiences I’ve had. His knowledge of how the body moves combined with his expertise in training allowed me to push myself in a healthy, safe environment.